My name is Fredrik Setterberg and I am a 3D-Technician student in Sweden. 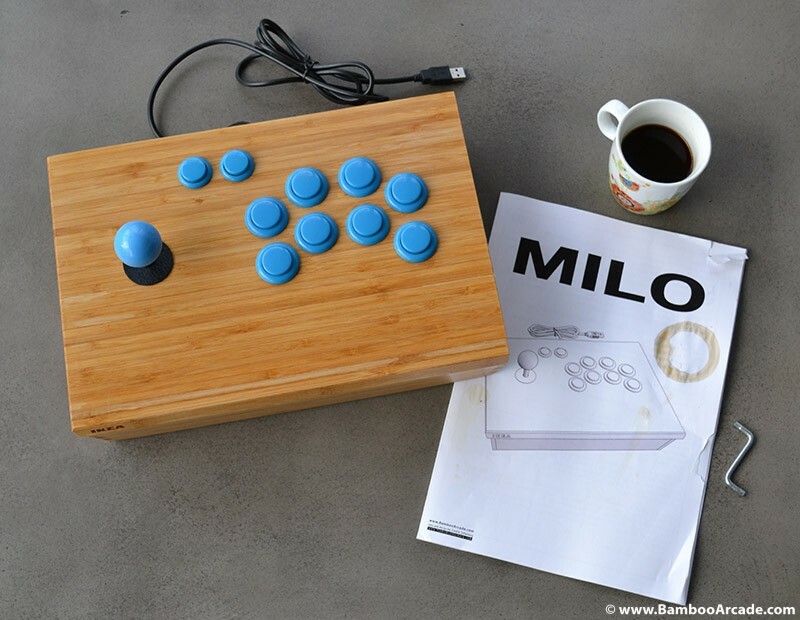 On this website I will present my latest school project – “MILO – Bamboo Arcade Controller” built from a few IKEA products and a USB arcade controller kit. I hope that I will inspire you to build one too. Head over to the download section and download the assembly instruction. * IKEA material + arcade components + screws. As a project I wanted to do something that involved design, 3d modeling and illustrations. I came up with the idea to design a retro looking arcade controller. I decided I wanted to use bamboo as base material for the controller and started investigating where I could easily obtain it. I noticed that IKEA had a couple of bamboo products and I decided to use them. It has taken me quite some time to complete this project, 6-7 weeks.